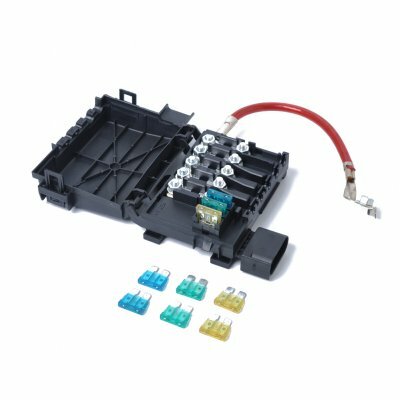 Successfully Added Fuse Box Battery Terminal 1J0937550A for 1999-2004 VW Jetta Golf Mk4 Beetle to your Shopping Cart. -- Adopting high quality ABS body with good insulation, high temperature resistance and environmental protection. -- Feature: Easy Install, Direct Fit, OE Replacement. -- This five-way car battery fuse box general used for Volkswagen Bora Golf 4.